Thanks so much for reading Amrita and for your comment. 😀 I think it’s a great cake if you like rum. You did a fantastic job. We definitely make this in the Caribbean every Christmas and I love a slice with some black wine (although I only know black wine from St Vincent and the Grenadines) as if the cake doesn’t have enough alcohol. This cake is stronnnggggg but I love it. I wish you could send me a piece right now! It looks soooooo good! I always smile when I read about your kitchen misadventures, Lauren. I had a few of my own yesterday, which you can read about in my next post. It sounds like you and your Mum were pleased with your cake, which is what matters in the end. I look forward to hearing more about the Clandestine Cake Club (great name). Most important thing is that you enjoyed your cakes. but, i personally think it has too much fruits. 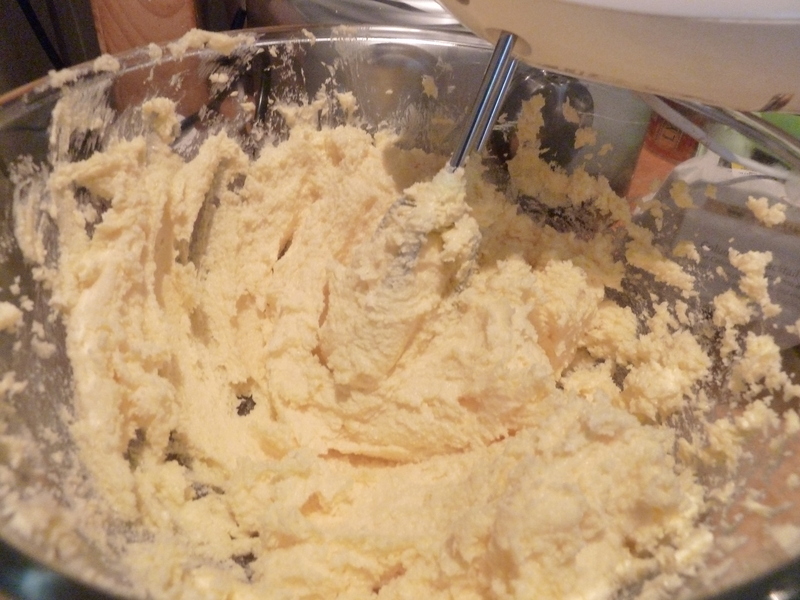 5 pounds of fruit to 1 lb of butter and sugar is way too much. The difference between Caribbean fruit cake and the English fruit cake is that it has far less fruit and it usually contain a higher proportion of eggs. Hi Brenda thanks so much for your comment. I really do love this cake. It is very different from the traditional English Christmas fruit cake. 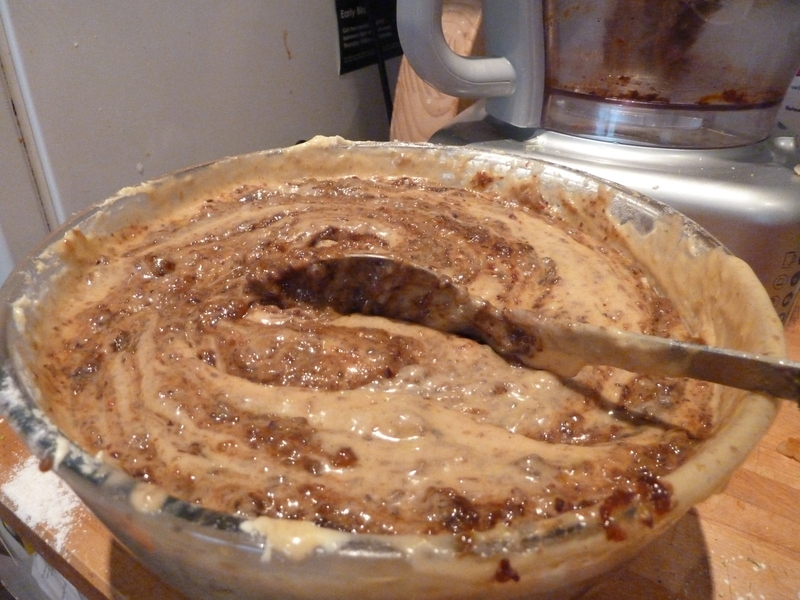 It needs the added moisture from the rum soaked fruit and butter to give it it’s gloriously soft texture. 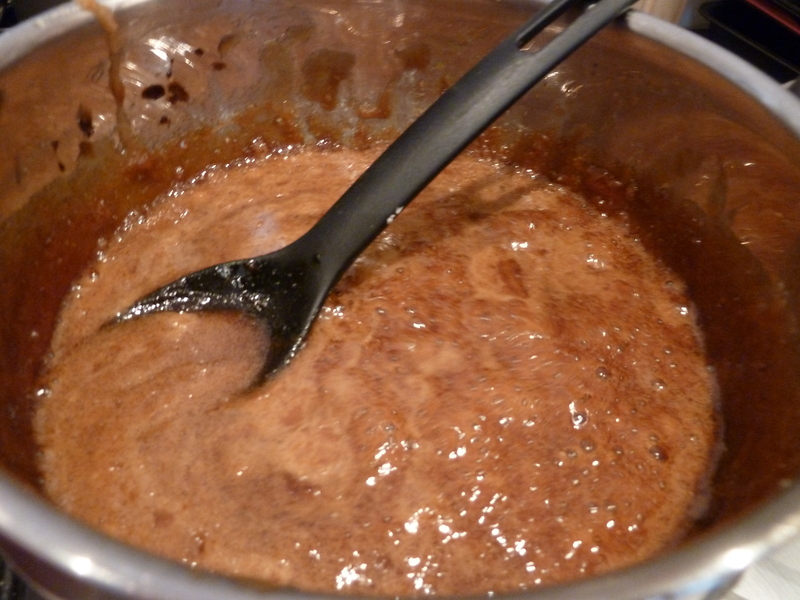 The sugar is also browned which is a good way of caramelising the sugar before adding it to the cake. It’s also much darker than a traditional cake. Well worth giving it a go if you ever feel like trying it. 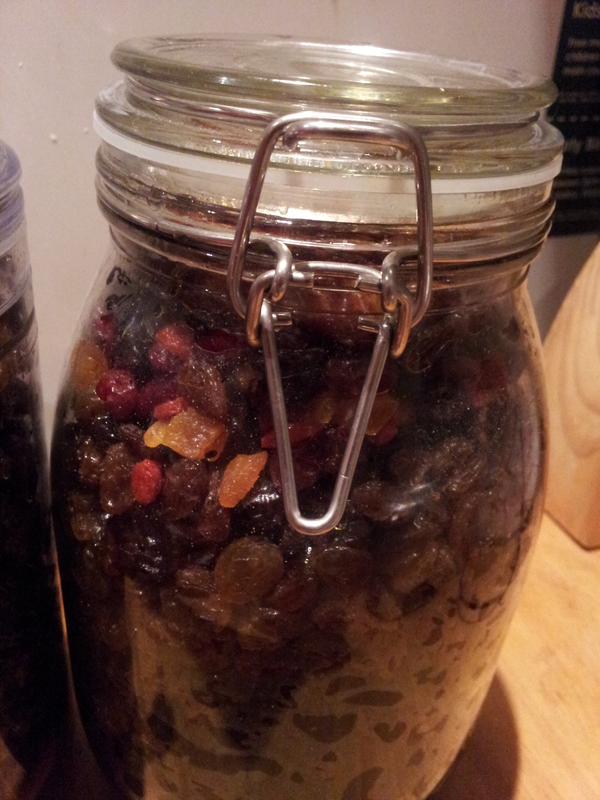 I’m feeling very festive now, so I’m about to start soaking my fruit ready for Christmas cakes soon. How I wish I was 18! Lol it’s not a chocolate cake despite it being brown (the caramilised sugar and water mixture – called browning is what gives it its colour, there is no chocolate in this cake). Wowsers that is a lot of booze and a very interesting shopping list! 🙂 Sounds like a lot effort too…but the end product was obviously worth it…looks delicious…although there is a good possibility I’d have a hangover if I ate a slice! 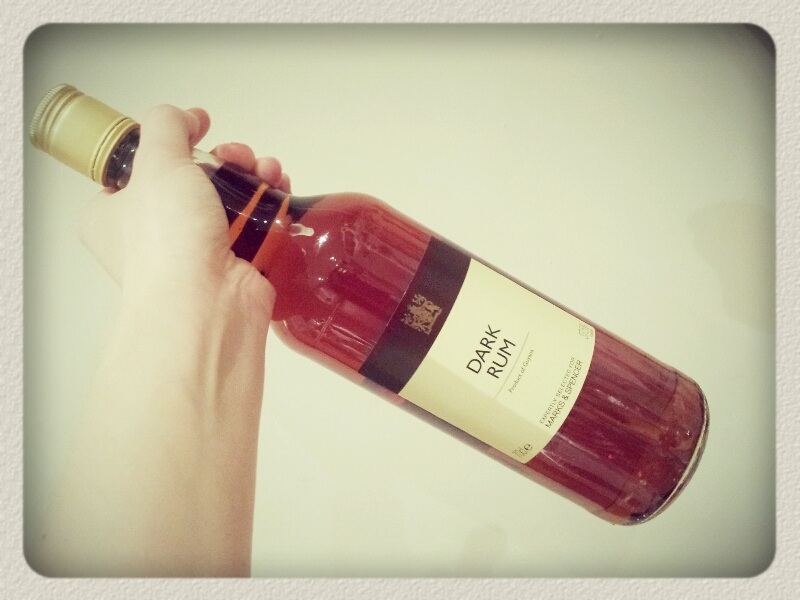 Ooh hubbies fave tipple is dark rum so this is one for me to have a go at. I have not got a bundt tin but did pick up something similar (ish) at a car boot sale for a £1 today so I am now willing and able! 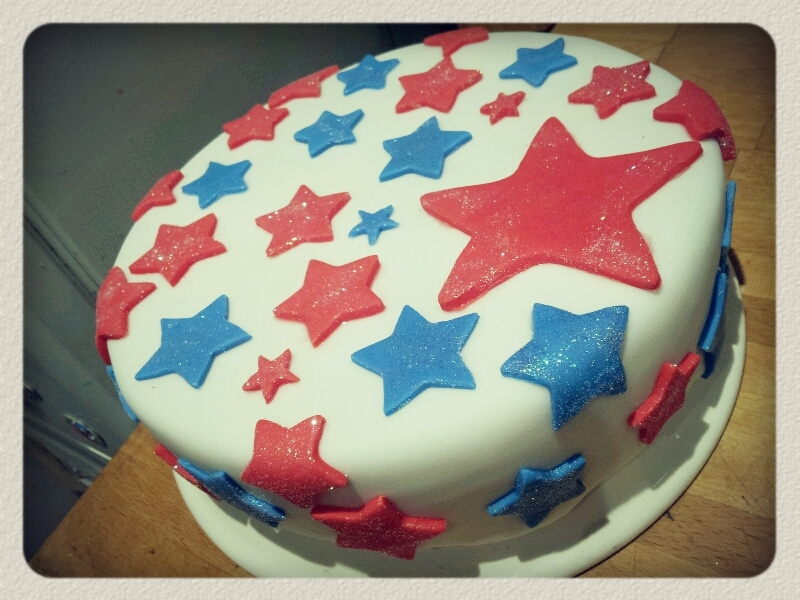 The fame of this cake reached our CCC documetary filming earlier this month! I did not believe it until I saw it with my own eyes! Ooh can you let me know when it’s out please? Thank you!! control still makes me dizzy. Thanks so much Faith! I hope you enjoy making it. I know my friends and family enjoyed eating it very much! Awesome… I’m not the only one that used a few bottles of booze. On Sunday, I started off using about 3 cups of dark rum and 3 cups of cream sherry. 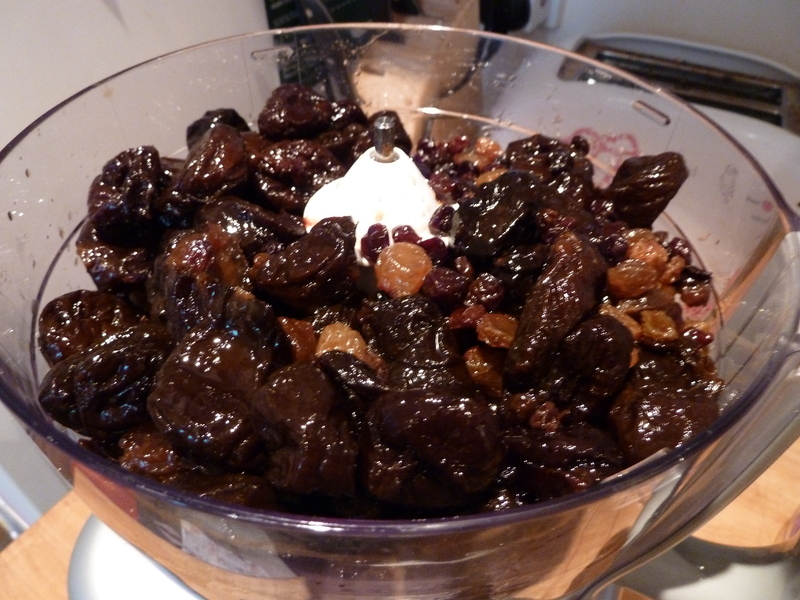 My initial dried fruit amounted to 1lb(454g) prunes, 1lb mixed peel, 1lb dried cherries, and 1lb raisins. I could not find currants or sultanas in Chicago. I dumped all this in a food processor and stored in a 2L jar and thought see you in a month. And that I did and added another I 750ml bottle of brandy to it. Hope this turns out well. Wow! That sounds amazing! Have you made it before? Brandy is a wonderful addition to it. I love the waft of booze that comes out of each slice. 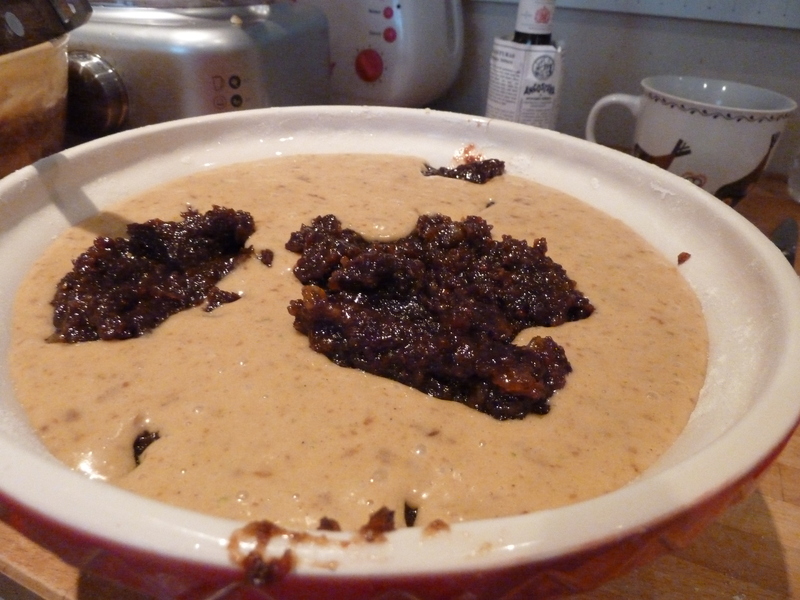 I think as long as you stick to the total amount of dried fruit (of whatever combination you can get your hands on) and macerate it it’ll be gorgeous 🙂 Prunes are your best bet to get the darkest cake. I like your thinking of having something on hand all year round for those baking emergencies. Thanks so much for reading and commenting. Please let me know how you get on with your cake! gee whiz! what a nice (looking) and seemingly delish cake. i was born in jam. and i once tried baking this cake and it CAME OUT NO WAY looking or tasting wonderful like the way yours look. i am happy for you that it came out well, because a few years ago i tried to do it to please my parents. 6 months before xmas, i left the fruit to soak in wine in the fridge. 7 weeks before xmas, i started my baking process. i poured rum on the top of the cake at the end but while it was still warm. After 6 weeks of dousing it with red wine (once per week) then i started eating it in the 2nd week of december. It was very moist to the point of seemingly rotten and i got diarrhea every time i ate a small piece….even though it tasted very good! i was never much of a cooker nor baker soooo. now that i am searching for what i did wrong, i see your great site and feel so proud of you. i will try this again on another year when i build up some more baking confidence. merry christmas! Hello Lori, thank you so much for your comment. 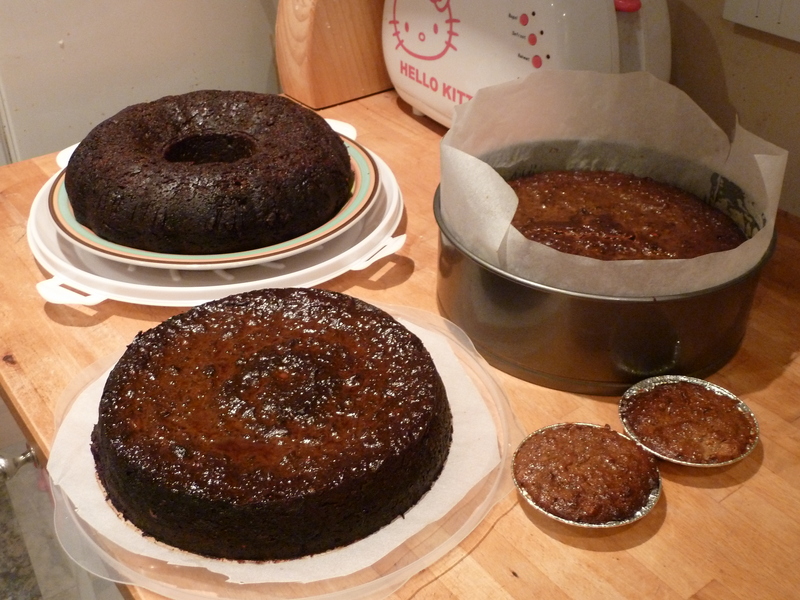 I’m so pleased that you like the recipe and my attempt at Jamaican Black Cake. I have read that you can use wine in the Jamaican Black cake, but it’s a type of wine that I’ve never come across before in England. 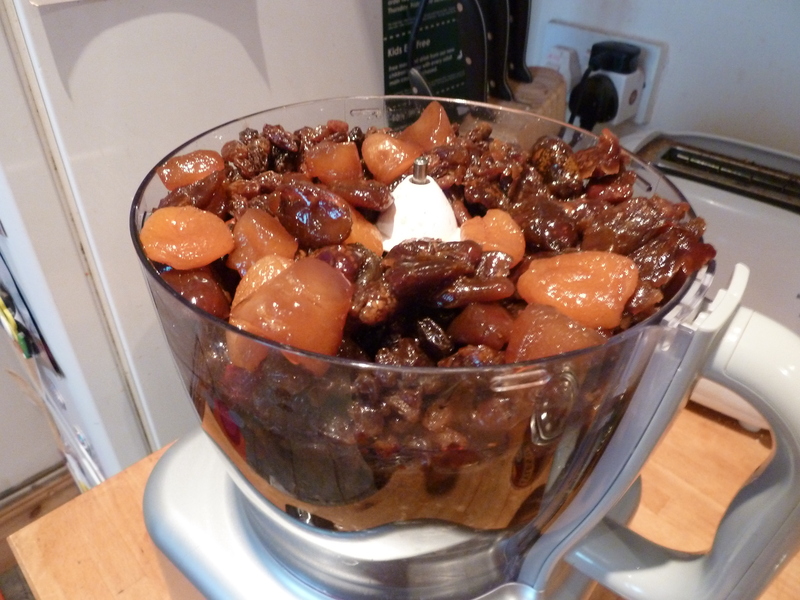 I think the recipe that I looked at suggested you add the wine just before you bake it as I think wine might not work as well for soaking fruit, it may ‘turn’ or ‘go off a bit’. (which might explain the tummy upset). Rum and Brandy work well to preserve the fruit (and the cake when it’s baked). The spirits help to prevent bacteria developing due to their high alcohol content. (which definitely adds to the festivities too!) Please do let me know how you get on if you try the recipe! Thanks so much for reading and taking the time to comment. Hope you have a wonderful Christmas! Wow, you did a really good job on your cake. For future reference if you ever make this again, you don’t have to freeze the extra cakes. These cakes keep forever (like over a year) if you just wrap them really well in saran wrap and foil and keep them somewhere dry and cool. I made one for my uncle Christmas 2005 and he was was still eating it in 2007. 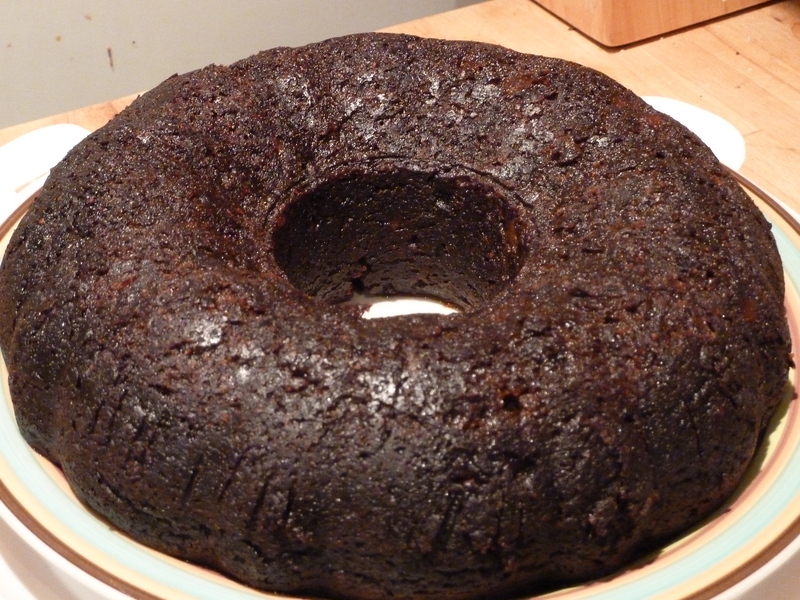 One questions though: why call it a JAMAICAN black cake when you followed two Trinidadian recipes and used Trinidadian ingredients (Angostura bitters)? This is a TRINIDADIAN black cake. Give credit where credit is due. Thank so much for your comment. I did think with that amount of booze in it , the cake would surely be good to keep for much longer than a month. It’s good to know that yours kept for so long. I have just been reading about how the freezing process also helps fruit cakes to mature, so perhaps freezing this cake would help it to mature quicker? I had tried to acknowledge the Trinidadian origin of the cake throughout the blog post, sorry if that didn’t come through strong enough. 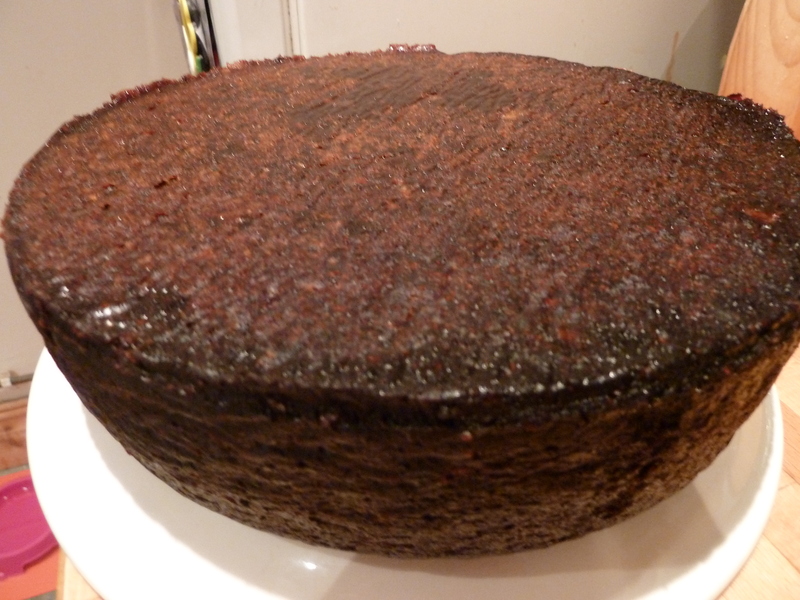 I have only seen this cake called Jamaican Black cake at an international food market before but through my research I realised that the Trinidadian Rum cake and Jamaican Black Cake are very similar, hence making my own recipe from those that I stumbled across. I found it really difficult to choose which country to relate it to. Hope that helps to answer your question. It’s a problem that has arisen quite a few times in my around the world in 80 bakes adventure, for example both New Zealand and Australia have a claim to the origin of the pavlova, so for the purposes of my blog I have to make a decision and attribute the cake to one country. But it is a wonderful cake which I really love. I really enjoyed exploring the recipe and trying new ingredients out. Thanks so much for reading. Relax mon, cha! the Carribean black cakes are all so simular it doesn’t really matter. I ate a st Lucian black cake which tasted identical to my mom’s Jamaican black caken which tasted identical to her friends Trinidadian black cake. It’s a name, I bet you lost sleep over it. I am in a Jamaican family and have developed a similar recipe over the years – a cheat if you are running out of time is to heat the fruit in the soaking alcohol. It cuts out the soaking time. It plumps up the fruits nicely, although soaking is best! Hello JanieMay, Thanks very much for the tip. That is a great one to remember for the future. I’ve tried this before when soaking fruit in tea and it worked really well but I’ve tried it with alcohol. Thanks! Hello thanks so much for reading and taking the time to leave me a comment. How did your cake turn out? I’d love to hear more! A bucket is such a good idea to mix all of the ingredients in. The recipe is so versatile I think its always best to add the flavours and fruits that you like the most, so good choice on the cherries. 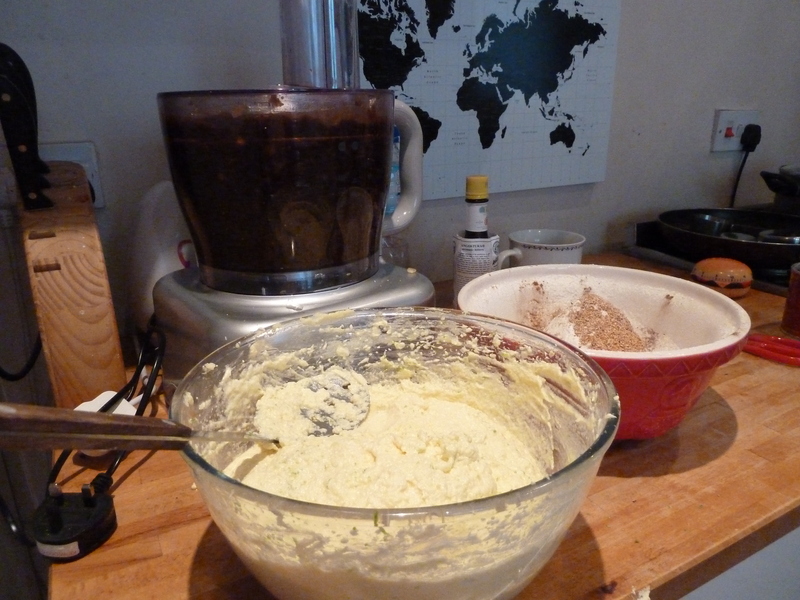 Hope you enjoyed making the Jamaican black cake as much as I did. Happy New Year! This is just what I’m looking for. i’ve been asked to make a Jamaican Rum fruit cake as part of a wedding cake. This looks fab! Thanks for sharing. Hello Thanks so much for reading and commenting! I’m so pleased that you found the recipe useful. I would love to hear more about your wedding cake too! Enjoy baking it! 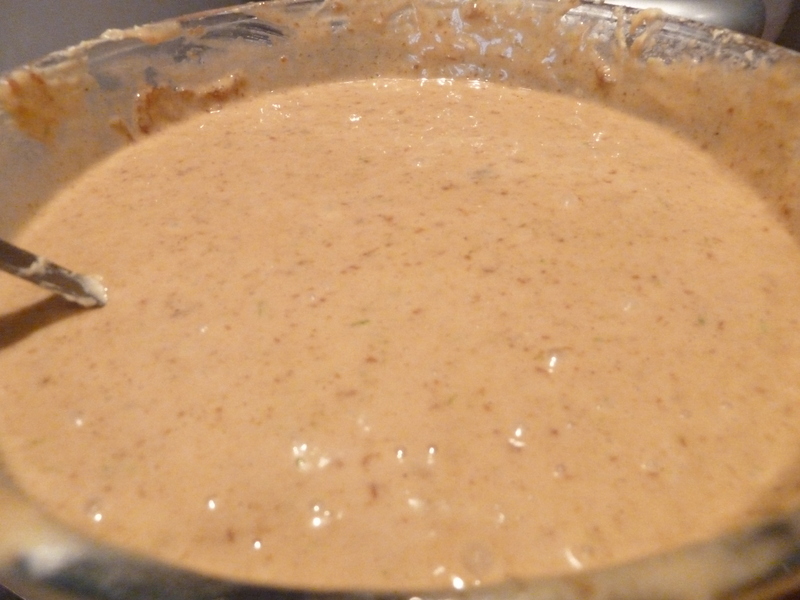 I have been searching and searching for a good recipe for the Jamaican Rum cake. I was giving one recipe but I was not quite happy with the amount of butter used, so today after searching I came across your recipe. I most definitely make it, now do you also lined the outside of the tin???? Oh yes I made two cakes they came out absolutely delicious. I just love this recipe but my cakes don’t come as dark as yours, I used molasses and dark sugar, so I don’t know what I am doing wrong, can you advise me please??? Hello Aura I wonder why they’re not as dark? did you use prunes and soak them in dark rum first? 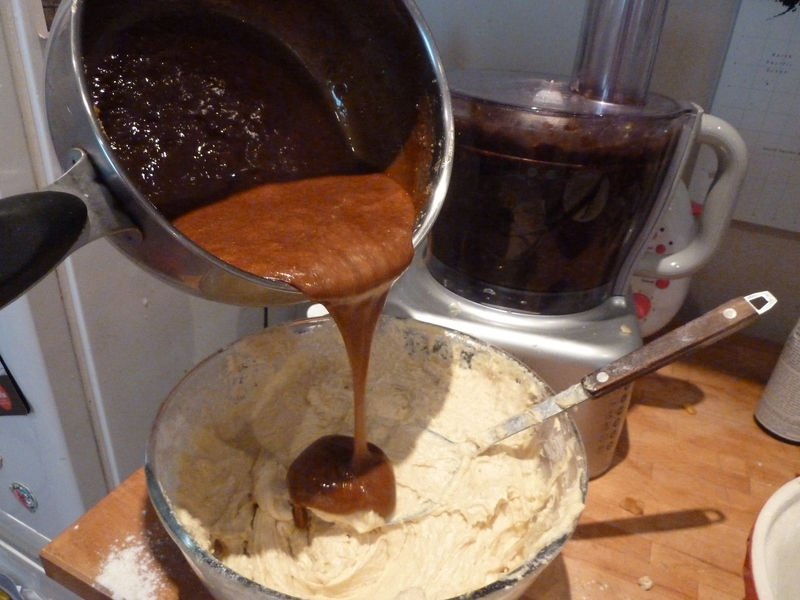 This helps give the cake its distinctive black colour. Also did you brown the sugar? I bet they still taste divine! The browning makes them dark, not the fruit. You need to add the browning. Hi,am in Africa,can I use ordinary sugar,what do I do if I don’t have brown sugar? Hello Hellen I think if you don’t have brown sugar you could use normal caster sugar as you will be browning it in the pan. The only difference will be the taste as brown sugar has a richer more caramel taste. Do you have any treacle or molasses? You could substitute some of the sugar in the cake (not in the browning stage) for treacle as this has the brown sugar taste? Hope that helps and thanks for reading. This cake sounds and looks divine… Eager to make it, but For the gluten free it says half cassava flour and half lb rice flour.. Is this half lb cassava and half lb rice flour… Or half the 500g substitute so 250g cassava and half lb rice flour.. Also what is lb in grams (my maths is obviously not great)!!! Hope that helps! as for lb I think that might be typo sorry! Just 250g and 250g Will correct that now to make it clearer! Hope you enjoy the recipe. I would love to hear how it goes. 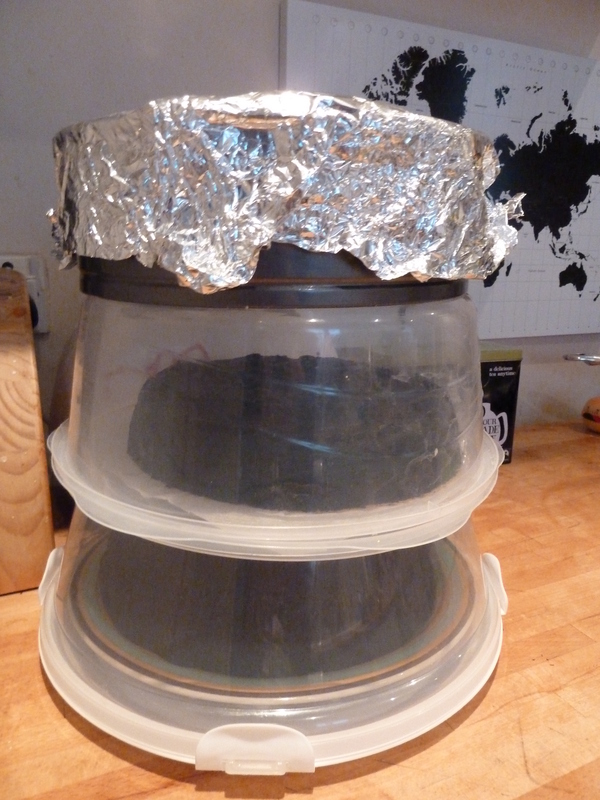 I love your cake-tin wrapping method. Nice to know especially when there’s an abundance of batter that is not enough to make another cake and too yummy to waste. 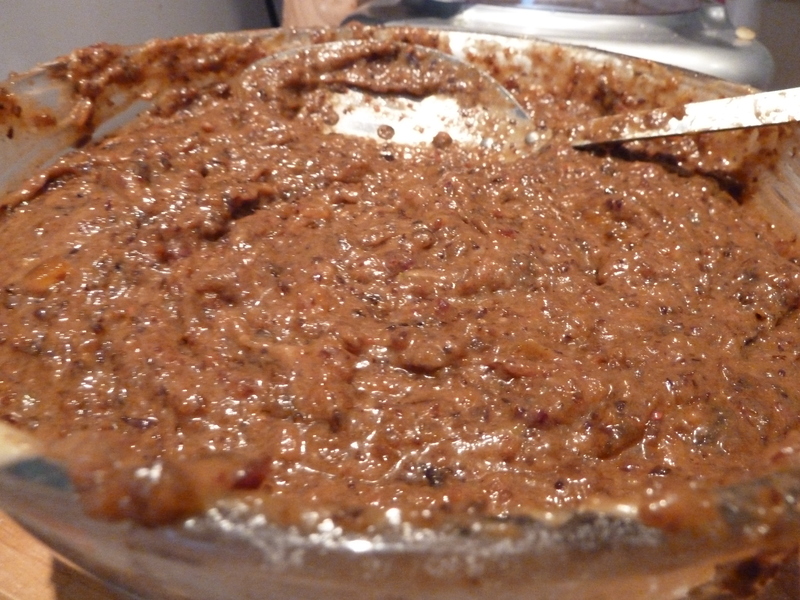 Two things: As far as getting it a rich, dark brown color, try a tablespoon of Grace Browning Sauce; And, as far as melting brown sugar, try adding butter and sherry or rum instead of water. Thank you so much! I’ll be using your recipe for my parent’s wedding cake. I absolutely love JA rum cake. Hello Thanks so much for reading and commenting. Yes some food processors might not be up to the job of macerating the fruit. But if you don’t own a hand crank they do a really good job. When chopping up a large amount of food the food processor really helps. Although if you’re worried about damaging your food processor, you can always process the fruit in small batches and not leave it running for too long, so it doesn’t burn the motor out. Hello, This cake is just the same as Guyanese black cake. Usually baked at Christmas and always for weddings. I have made this many times over the years. 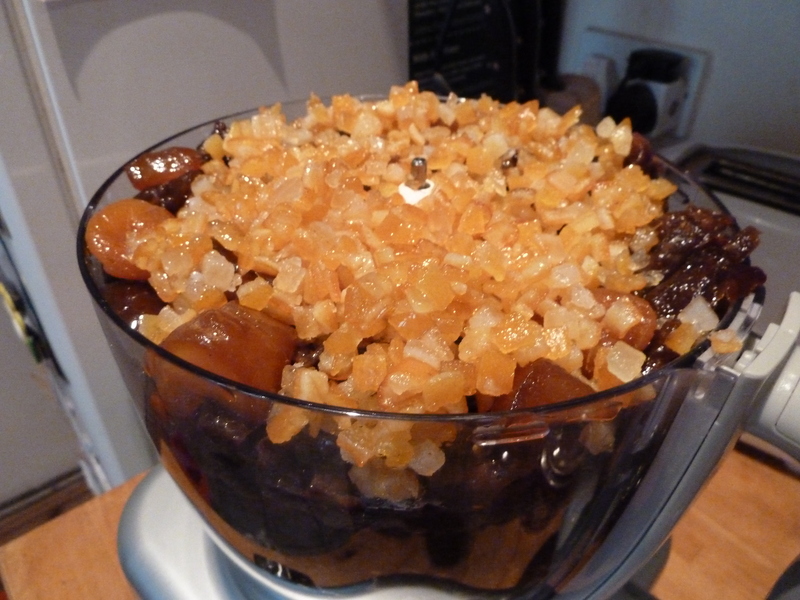 Recently I made a non alcoholic version for my sister in law using mulled fruit juice from Holland and Barrett. It came out lovely. Her husband who loves rum just poured some over his share. By the way Lauren, the dark rum you used from M & S is produced in Guyana. The Manischewitz Concord grape wine is a kosher red wine found in the USA. My mom uses this in her recipe in New York. In England, I use a mixture of mulled red wine and rum to soak the fruit and feed the cake which gives it a lovely flavour. 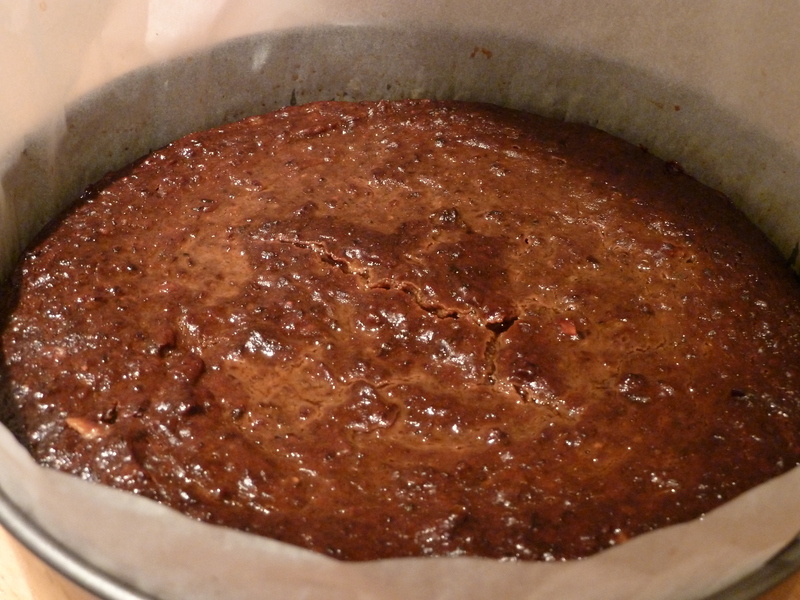 As a little boy of Jamaican parents growing up in England I helped my mother bake black cake for weddings. My mother passed away when I was a teenager. I have passed on the tradition to my daughters. I’ve enjoyed reading your receipe along with your gracious replies to comments. Black cake has always been about sharing and memories. 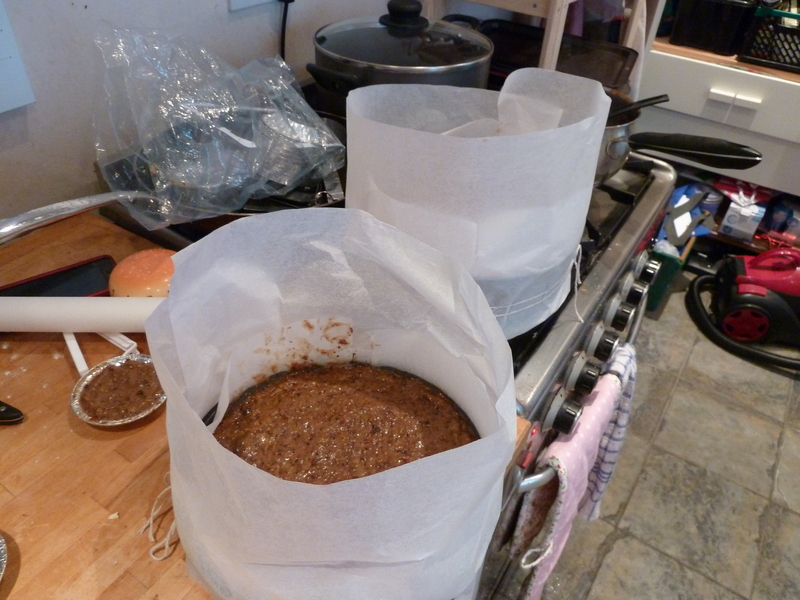 One suggestion if I may, before wrapping in aluminum (I live in the US now) wrap the cake in grease proof paper to prevent the foil from oxidizing due to the presence of sulphites in the wines. I’ve made this cake for two years running now. This being my second year. It is a hit and everyone abskoutkey loves it! It’s expensive to make but so worth it! It’s my favourite cake ever! Thanks for sharing it! This cake sounds more like the Trinidadian version. 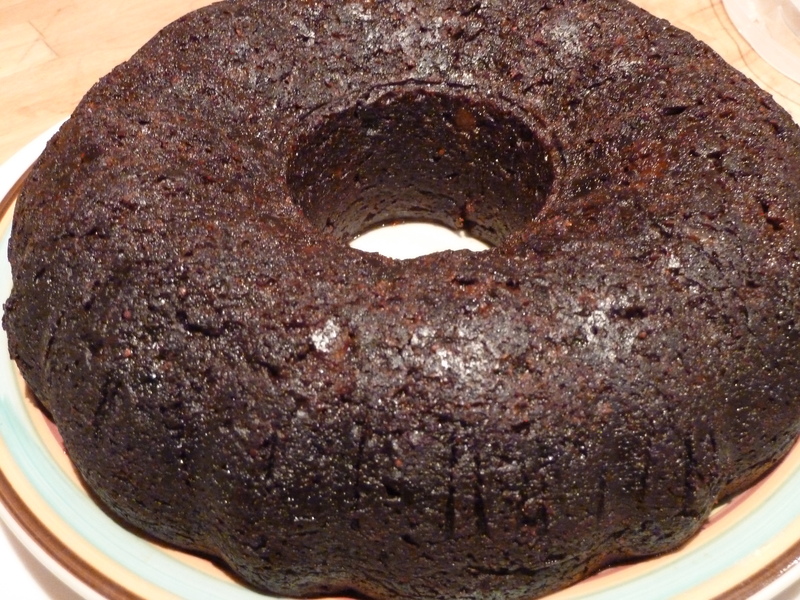 The Trinis call it “Black Cake”, the Jamaicans usually call it “Rum Cake”. Also, the Trini cake is usually blacker and more moist than the Jamaican version. Though, of course, both countries can produce either variety, these are generally the usual differences. Seems delicious! This similar a Chilean wedding cake (not in fashion anymore, sadly) but the Chilean version has nuts added to the fruit mix plus spices and at least, my version, does not have eggs so the cake lasts months and on the freezer up to a year. I use marzipan and royal icing and serve it for Christmas. I’m sure this kind of cake was brought by the British to Chile and was popular because it does not spoil easily. I will definitely try this version! I have been asked to make the cake and ice it – you mentioned that you cover one cake with marzipan and royal icing – can you tell me what exactly you did? And is it a traditional royal icing recipe or something particular to this kind of cake? For technique – did you cover the cake with marzipan and then royal icing like an English fruitcake? Hello Ruth hope you enjoy baking the cake. Yes I just iced it like a traditional English fruitcake with one layer marzipan and one fondant icing. I just used shop bought pre made icing and rolled it out.